Russia's MegaFon announced the resignation of its General Director and CEO, Sergey Soldatenkov, who will leave the company before the expiration of his contract in 2019. MegaFon's Board of Directors appointed Gevork Vermishian to take over his positions. Vermishian is currently Executive Director. Sergey Soldatenkov commented: “I have decided that the time has come to hand the reins to Gevork. I have been involved with the Company since its creation, almost 20 years ago. Throughout this time we have been at the forefront of innovation: we were the first to launch new products and services, we surprised clients and competitors, and we were not afraid to change the sector nor, most importantly, to change ourselves. However, we have been conscious for a long time of the need for a management succession plan. With this in mind, we asked Gevork to take on the role of Executive Director last October, with a view to having me focus on strategy and government relations and having Gevork take on operational issues. In this way it was possible to gradually transition responsibilities to Gevork, and I believe that he is now ready to take over my responsibilities as well and assume full control of the management of the company." Russia's Mobile TeleSystems (MTS) demonstrated a series of 5G scenarios including HD video calls, ultra-low latency video games and high-definition video streaming at an exhibition at Popov Central Museum of Radio Communications, one of the world’s oldest museums of science and technology, in St. Petersburg. The demonstration utilized Samsung’s 5G end-to-end solutions including 5G routers (CPE, Customer Premise Equipment) and prototype tablets, the 5G radio access unit, virtualized RAN and the virtualized core network. 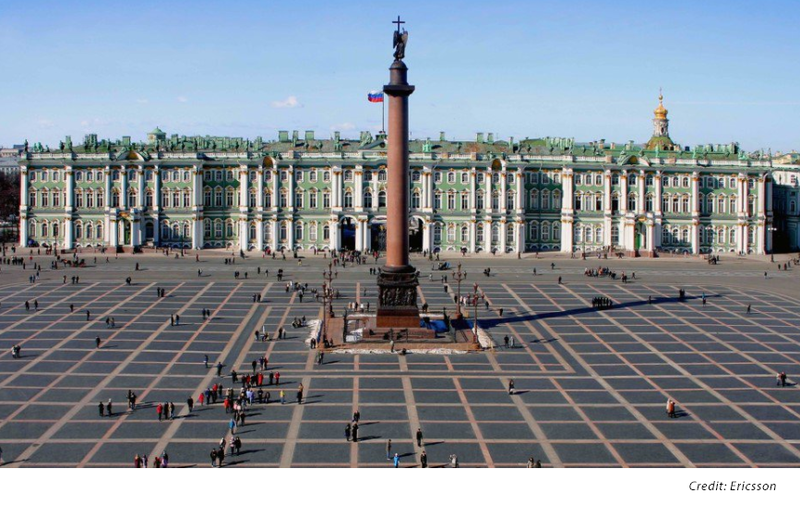 Rostelecom has deployed a 5G trial zone on the premises of the State Hermitage Museum in St. Petersburg, Russia – one of the largest art museums in the world. Ericsson supplied a full range of 5G technical solutions and expertise during the implementation and integration phases. Several use cases have been demonstrated, including the use of robotic equipment for art restoration projects, and a remote learning application that transmits 4K video streams to VR glasses. The demonstrations were carried out on Rostelecom’s 5G test network deployed in 3500 MHz frequency band. MTS, the leading communications service provider in Russia and the CIS, deployed Licensed Assisted Access (LAA) technology at a shopping center in Ufa City, Russia. The service activation took place in the Planeta shopping center in Ufa on May 17 following a series of tests conducted on a live MTS network using a commercial smartphone. The new LAA network in Ufa aggregates a 20 MHz band in the 1800 MHz licensed LTE spectrum (4x4 MIMO, 256-QAM) and three 20 MHz bands (2x2 MIMO, 256-QAM) in the 5 GHz unlicensed spectrum. The installation is built on Ericsson’s ERS indoor small cell stations using 1800 (2212) and LAA (2205) broadband radio modules, while Motorola Moto Z2 Force smartphone powered by the Qualcomm Snapdragon 835 Mobile Platform was used as a smartphone. The Snapdragon 835 integrates X16 LTE modem, the first commercial modem supporting the LAA technology. The configuration yielded downlink speeds of 979 Mbps. This marks the first commercial LAA rollout in the region. Qualcomm is also listed as a technology partner. 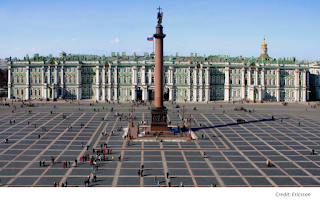 Rostelecom and Ericsson will carry out a 5G trial at the State Hermitage Museum in Saint Petersburg, Russia. The test, which is scheduled for the first half of 2018, will feature Ericsson's latest 5G technology and use a mix of virtual reality, haptic technology, and robotics.The solutions include Ericsson Radio System which is prepared for 5G implementation. The network will be operated in the 3.5GHz frequency band and support LTE/LTE-Advanced devices. Telia Company is selling its 19% holding in MegaFon to Gazprombank for RUB 514 per share, raising gross proceeds of RUB 60.4 billion (equivalent to approximately SEK 8.6 billion or US$1.03 billion). MegaFon (Russian: МегаФон), which is based in Moscow, is the second largest mobile phone operator and the third largest telecom operator in Russia. Gazprombank has agreed to a lock-up of six months from the date of the sale, subject to certain exceptions. Gazprombank is the third largest bank in Russia and is funding the acquisition with cash in immediately available funds. Telia noted that although Gazprombank is subject to EU capital market sanctions and to Russia US Directive 1 Sanctions, which prohibit US and EU companies from financing, directly or indirectly, entities that are subject to the sanctions, this transaction does not involve any financing of Gazprombank or any trade in stock or other securities issued by Gazprombank and the sanctions are therefore not applicable. MTS, a major telco in Russia and the CIS serving over 100 million subscribers, and Ericsson announced that during trials of 5G technology they achieved claimed record data transmission rates of up to 25 Gbit/s using a portable prototype of a smartphone, representing an advance on previous 5G trials that involved only stationary devices. The testing was conducted by Ericsson and MTS at the Opening Arena stadium in Moscow, where a base station operating in the range of 14.5 to 15.3 GHz transmitted a signal to a portable prototype of a subscriber' device at the speeds of up to 25 Gbit/s. During the trials, MTS and Ericsson tested 5G technology in a range of scenarios requiring high bandwidth and low latency, such as 4K video streaming, virtual reality services and remote robot control over a mobile network. 1. Multi-user and massive MIMO with an array of transmit-receive antennas, including serving multiple subscribers in one sector of a cell over the same frequency band. 2. Beam tracking, designed to provide user devices with a stable, reliable connection and the optimum throughput performance when on the move. 3. Dynamic TDD, which enhances the data transfer rate and efficiency of wireless network resource utilisation by dynamically redistributing the bandwidth when transmitting traffic in the downlink and upstream channels. Ericsson noted that the trials were conducted as part of its strategic partnership with MTS established in December 2015. Under the agreement, Ericsson and MTS planned to cooperate on 5G R&D in Russia, encompassing areas including spectrum studies of the next generation network and implementation of a test system. Subsequently, in June 2016 the companies tested LTE-U (LTE-Unlicensed), demonstrating the aggregation of two frequency bands, 10 MHz in the 1800 MHz band of LTE and 20 MHz in the unlicensed 5 GHz band at WiFi access points, demonstrating data rates of 200 Mbit/s. Also in June last year, the companies signed a 3 year agreement for the supply of software for the modernisation of the MTS network, to include implementing IoT technology and testing extended GSM technology (EC-GSM-IoT). Nokia and Russian communications and technology company VimpelCom, which services over 58 million mobile and 2.2 million fixed broadband customers through the Beeline brand, have signed a five-year agreement under which Nokia will become the main provider of managed services for operator's fixed, mobile and transport network operations. 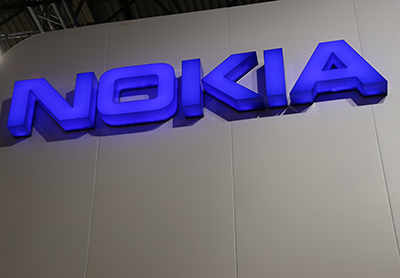 Having previously been responsible for managing services on VimpelCom's network in central Russia, under the new agreement Nokia will extend its responsibility to managing VimpelCom's 2G, 3G and 4G mobile networks that are based on a range of equipment from different vendors. Specifically, field maintenance work will be carried out by Nokia for VimpelCom in the Southern, North Caucasian and Central regions of Russia, including in Moscow. By consolidating and transforming its network operations, VimpelCom is aiming to benefit from more efficient networks and more streamlined operations, faster time to market and lower operating costs. 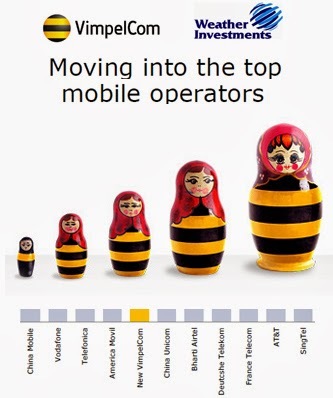 VimpelCom also expects to enhance service quality for its more than 58 million mobile and over 2 million fixed broadband customers in Russia. 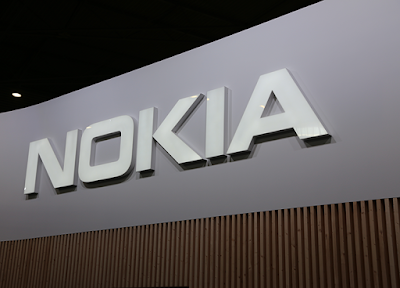 Under the agreement, Nokia will also provide network planning and optimisation services, network implementation, project management and network support via its global delivery hub located in Voronezh in the south west of Russia. 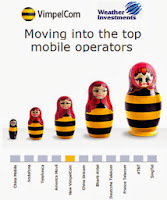 VimpelCom/Beeline in Russia is a part of Amsterdam-based telecom group VEON, the company having announced it was changing its name from VimpelCom to VEON on February 27, 2017. VEON serves over 235 million customers worldwide in countries and regions including Russia, Italy, Kazakhstan, Ukraine, Kyrgyzstan, Uzbekistan, Armenia, Georgia, Tajikistan, Algeria, Pakistan and Bangladesh. 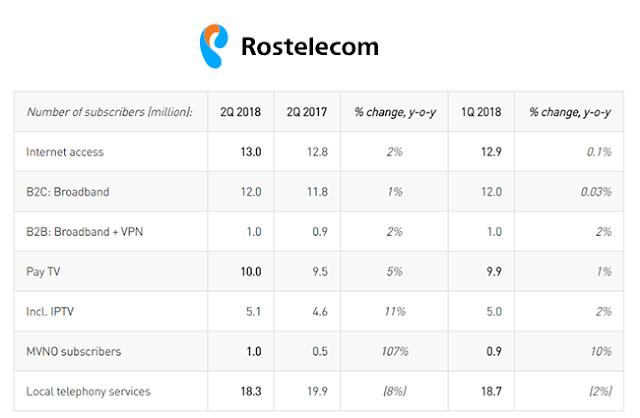 Rostelecom has authorized Huawei Marine to begin the construction of a 900-km submarine fiber cable connecting Kamchatka and Sakhalin. 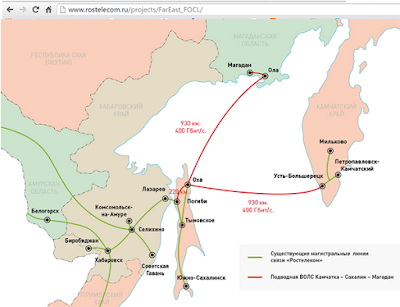 The construction represents the second phase of the Far East cable system that connects the regions of Kamchatka-Sakhalin-Magadan. 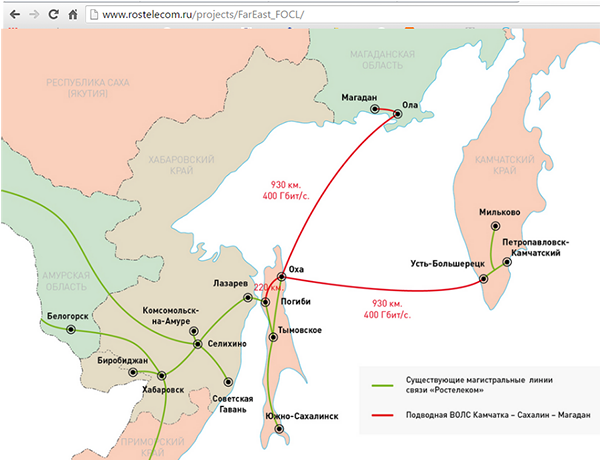 Phase One connecting Sakhalin – Magadan was completed in 2015 along with the land-based telecommunication network on the Kamchatka peninsula. This terrestrial network connects to the submarine cable in the area of Ust-Bolsheretzk, from where the submarine cable is buried beneath the seabed as it crosses the Okhotsk sea, connecting Ust-Bolsheretzk in Kamchatka with Okha residential point in Sakhalin. VimpelCom, which serves more than 200 million mobile and broadband customers across Russia and 13 other countries, has selected Ericsson to transform its global IT infrastructure. Ericsson valued the deal at more than US$1 billion. Under the partnership, Ericsson will undertake a complete overhaul of VimpelCom's IT infrastructure across 11 countries and 12 time zones. Ericsson said the project's scale is the largest and most ambitious in the industry's history. VimpelCom will digitalize and globalize its Business Support Systems (BSS) infrastructure using Ericsson's new software and cloud technologies. The Digital Stack will accelerate product and service development, while the delivery and use of near real-time analytics, will allow greater personalization of services for customers. In addition, a simpler user interface will also enhance the customer experience on all levels. Jean-Yves Charlier, Chief Executive Officer of VimpelCom, said: "This marks a fundamental milestone in our transformation as we move ahead with our strategy to turn VimpelCom into a true digital pioneer. The new Digital Stack will help us better respond to our customers while also centralizing and simplifying our business, creating lean and agile operations that will result in a more efficient cost structure across our global footprint." Hans Vestberg, President and CEO, Ericsson, said: "In a fully connected world, success for operators requires performance, flexibility and efficiency. 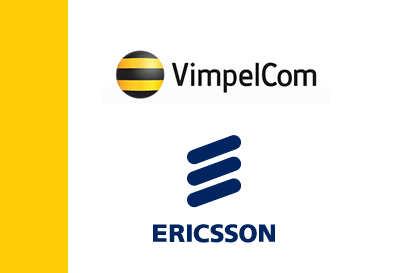 Ericsson's unique BSS as a service concept, combed with our leading services and technology capabilities, will support VimpelCom in realizing these ambitions while positioning the company for further growth as ICT transforms industries everywhere." Russia's Mobile TeleSystems (MTS) and Ericsson signed an MOU on 5G research and deployment in Russia, including spectrum studies of the next generation network and the building of a test system. The project will support a dialog with government regulators concerning the bands being targeted for 5G and requirements for next generation systems. The companies said their partnership will also lead to implementation of 5G-related technologies in MTS' network, such as Ericsson Lean Carrier and the use of unlicensed spectrum, and other technologies that use the design concepts Ericsson is developing for 5G. MegaFon awarded a seven-year contract to Nokia Networks to upgrade its nationwide network in Russia. Under the deal, Nokia Networks will supply its Single RAN technology for greater capacity, higher data rates and low latency. 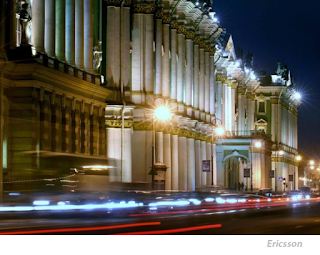 Subscribers in Moscow, Central and Caucasus regions will be first to enjoy the LTE services. Akado Telecom (Akado), a major multi-service cable network operator in the Moscow region, has upgraded its backbone network with the Infinera DTN-X packet optical transport networking platform. The upgrade supports 100G and boosts Akado's total fiber capacity by more than four times, enabling rapid delivery of high capacity services. Akado provides a full range of advanced communication services based on its own fiber-optic network, which extends more than 18,000 kilometers. Akado's multi-service network provides high-speed residential Internet access, voice services, and cable TV services, as well as a broad range of enterprise services for businesses and government entities. Infinera said its DTN-X platform enables Akado to rapidly deliver reliable, high-speed networking services. The Infinera DTN-X features 500 Gbps super-channel capability. When combined with Infinera's Instant Bandwidth, Akado can activate bandwidth on demand in 100 Gb/s increments to rapidly deliver services to its customers faster and with lower costs. 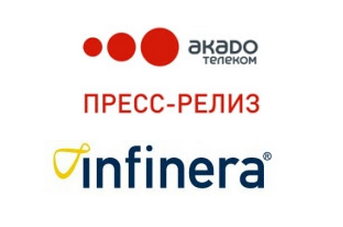 "Deploying the Infinera Intelligent Transport Network allows Akado to dramatically increase the capacity on our metro backbone to support the growing demand in Moscow and Moscow region," said Vitaly Klishin, Senior Vice President at Akado Group. "With this solution we can rapidly scale network capacity to deliver reliable 10G, 40G and 100G services to meet the needs of both B2B and B2G customers of Akado Telecom, including banks, service providers and government organizations." The Russian Satellite Communication Company's Express-AM4R, which was to be Russia's most powerful communications satellite to date, was lost approximately nine minutes following launch aboard a Proton-M rocket from the Baikonur Cosmodrome in Kazakhstan. The satellite, which was built by Astrium and insured for about US$225 million, carried 63 transponders providing X-band, C-band, S-band, L-band, Ku-band, and Ka-band capacity along with 10 antennas installed. 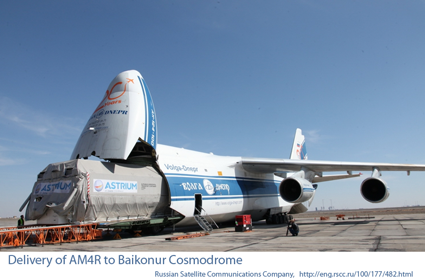 Its mission was to provide Internet access across a wide swath of Russia from 80°E. AM4R was commissioned to replace AM4, which was also lost on launch in 2011. In August 2011, the Russian Satellite Communications Company lost contact with the $265-million Express AM-4 satellite shortly after launch aboard a Proton-M rocket from Kazakhstan. The Express AM4, based on Astrium's Eurostar E3000 satellite design, is the largest of the Express satellites so far. IT is equipped with a total of 63 active transponders in L-, C-, Ku- and Ka-bands and 10 antennas, both fixed and steerable. Its mission is to deliver digital TV, Internet and telecom services for eastern Russia. 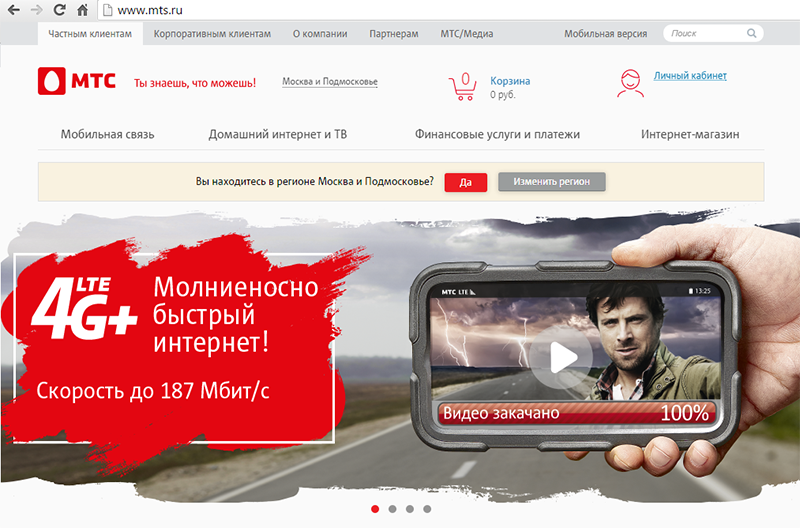 MTS, the leading operator in Russia and CIS, completed the first Voice over LTE (VoLTE) call on a telco cloud infrastructure using Nokia’s technology and expertise. Nokia said the end-to-end testing, conducted in the operator’s live LTE network, was the first such trial to leverage the virtualization of service and control functions in the core network, including its IP Multimedia Subsystem (IMS), Telephony Application Server (TAS) and Home Subscriber Server (HSS). The company’s Cloud Application Manager provided automated deployment and management of all cloud applications. MTS used Nokia’s commercial portfolio and a cloud management system that controls the VoLTE applications in MTS’s private telco cloud. Bashinformsvyaz JSC, one of the largest service providers in the Urals region and in Russia at large, has deployed the Cisco ONS 15454 Multiservice Transport Platform (MSTP) and Cisco ASR 9000 Series Aggregation Services Routers in key traffic nodes. As a result, new coherent transponders were installed on DWDM-network multiplexors, ensuring data transmission at the rate of 100 gigabits per second per wavelength. Cisco said this type of transponder features a 100 Gigabit Ethernet client interface for user equipment; it is capable of transmitting data at a distance up to 4,000 km without intermediate Optical-to-Electronic-to-Optical regeneration. Along with the above, Cisco ASR 9000 routers were upgraded with line cards featuring 100 Gigabit Ethernet interfaces; these were connected to 100 Gbps DWDM transponders. This allowed building a high-speed trunk line scalable to 4 Tbps, connecting major cities of the Republic of Bashkortostan. Additionally, traffic grooming and optimization have been performed to enable more efficient utilization of the existing infrastructure; due to deep integration of IP and optical levels, reliability and survivability of the company's backbone network were dramatically increased. "Upgrade of the backbone network segment to 100 Gbps helps ensure a huge margin of safety, and efficient and scalable data transport infrastructure required to maintain further network growth and telecom services development within this area. It is very important to notice that implementation of 100 Gbps channels did not require any alterations of the existing DWDM network built some years ago for 10 Gbps speed capacity; our engineer staff was directly involved in those works. This allowed minimizing the deadlines and costs, completing works without interfering with existing services, as well as enriching ourselves with this precious experience of such a large-scale project,” stated Rustam Yanyshev, first deputy general director, CTO, Bashinformsvyaz.